Ideal for educators who want to specialise, seek a career change, or advance their career. Extend your knowledge and meet your professional development needs. Flexible study options include online, on campus, and block mode. An early graduation option is available for some study areas. Complete four units for a Graduate Certificate in Education qualification. Commonwealth Supported Places available for Australian citizens and permanent visa holders, and New Zealand citizens (subject to change). As part of this course, you must choose a major. The QUT Master of Education transforms good teachers into great ones. You can choose a study area to suit your goals - for a career change, advanced specialisation or career advancement. 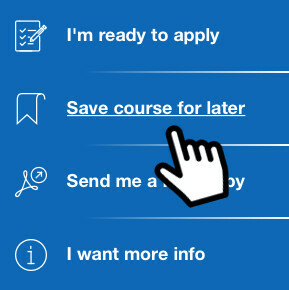 Check out your saved or recently viewed courses below, or find this information later via the study homepage. Like to save your courses? Stay connected to receive updates from QUT. You can save a course from any from course page. If you have a specific question about studying with us, you can ask us here. You will be forwarded to a page to ask your question. Sign up to receive occasional emails to help you with your study decision. We’ll send you relevant information about studying at QUT, scholarships, key dates and upcoming events. Keepup with the latest information on courses, scholarships and upcoming events.